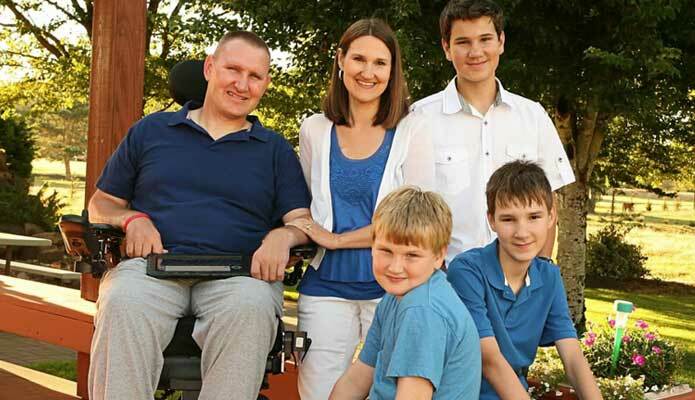 The ALS Association is dedicated to providing you and your family and friends with information, support and resources you need to live a fuller life and better meet the daily challenges of living with ALS. Check out some helpful additional information. The ALS Association offers comprehensive programs and services through our network of chapters, ALS Certified Treatment Centers of Excellence and clinics, support groups and the national office. "Once in a while – once in a great while – you meet someone about whom you can say, ‘My life is better for the meeting.’ That’s how I feel about Jim Eutizzi. That’s how many people feel about Jim." 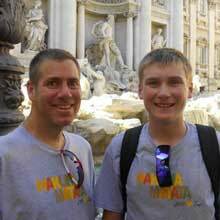 Mr. Jim Eutizzi is a resident of Wisconsin, married and the father of four. Diagnosed with ALS in 2007 at the age of 44, he has spent the ensuing years in pursuit of raising public awareness, advocating at various organizations and providing education and caring support to others affected by ALS. The ALS Association’s Care Services electronic newsletter, ALS Insight is published quarterly. ALS Insight covers a broad range of subjects including stories about people living with ALS, Q&A with medical professionals, tips on daily living and communication, and webinar announcements.